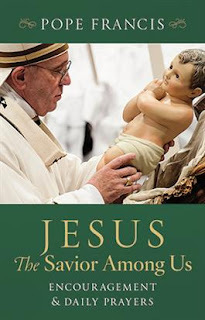 Jesus: The Savior Among Us is an Advent reflection book for 2018 with reflections based on Scripture and the teachings of Pope Francis.To order a single copy, please contact the company at 1-800-325-9414 between 8 am to 4:30 pm Central Time to receive less expensive shipping rates than those listed on the website. 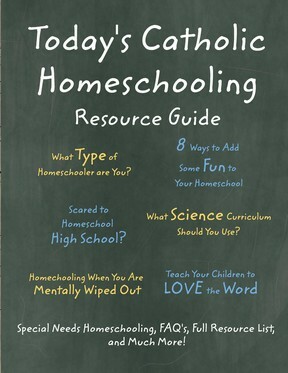 inspiration for Catholic homeschoolers. It is available as a free .pdf download or as a paid print version. 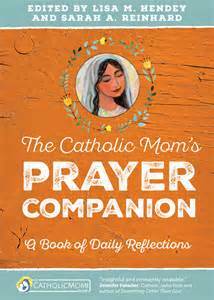 I'm pleased to be a contributor to The Catholic Mom's Prayer Companion edited by Lisa M. Hendey and Sarah A. Reinhard. 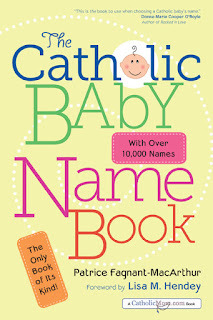 At a time when it is becoming increasingly popular to name a baby after a town or a food, readers will discover here a bounty of names that are fun, creative, and Catholic. 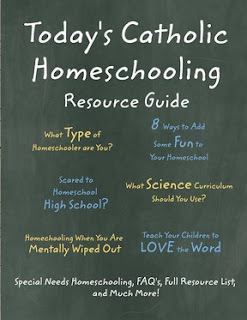 This newest book in the CatholicMom.com series boasts thousands of names of saints from Christian tradition and the scriptures, including those newly canonized by popes John Paul II and Benedict XVI. Among the fun facts to be discovered: there are ten ways to spell Regina, the perennially popular name Jayden means thankful and God has heard, and Sophia, the most popular girls name in 2012, was a saint who had three daughters named Faith, Hope, and Charity (who were also saints!). Each name is accompanied by its meaning, variations in its form, and language of origin. A capsule biography offers a glimpse of the time, place, and importance of the saint or biblical figure. Additional saints with the same name are also described. The feast day of the saint and any patronage is also provided. Top 100 names are highlighted. 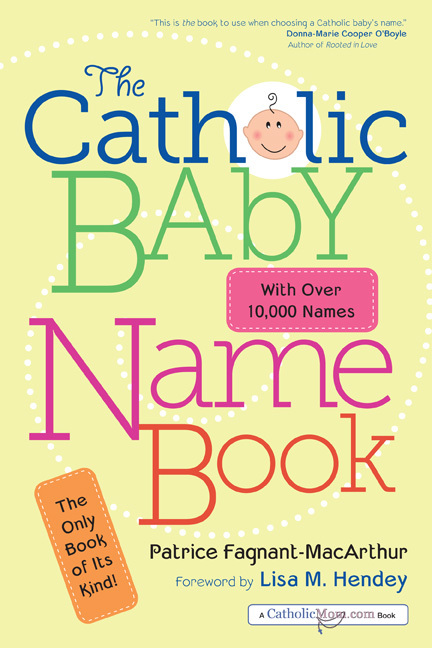 While baby name books are ubiquitous, this is the first to offer Catholic moms and dads the help they need to select a Christian name or to find the religious meaning of a beloved family name. Letters to Mary from a Young Mother available at Barnes and Noble and Amazon as both a paperback and an e-book. So begins Letters to Mary from a Young Mother, one woman's story of motherhood, from conception through the first year, as she confides her joys and frustrations to Mary, mother of Jesus. Perhaps more importantly, Letters to Mary explores the humanity of Mary, delving into how she herself might have felt during her own motherhood experience. Mary was a human mother, and as such is connected to mothers in all times and places, from Eve to the present day. She is a fellow traveler on the journey of motherhood, ever-ready to lend an understanding ear. The Mother Letters: Sharing the Laughter, Joy, Struggles, and Hope, by Amber and Seth Haines available on Amazon.